The SKILLSNET e-bulletin July 2017 Issue has just been send to skillsnet members and published here in a pdf format. 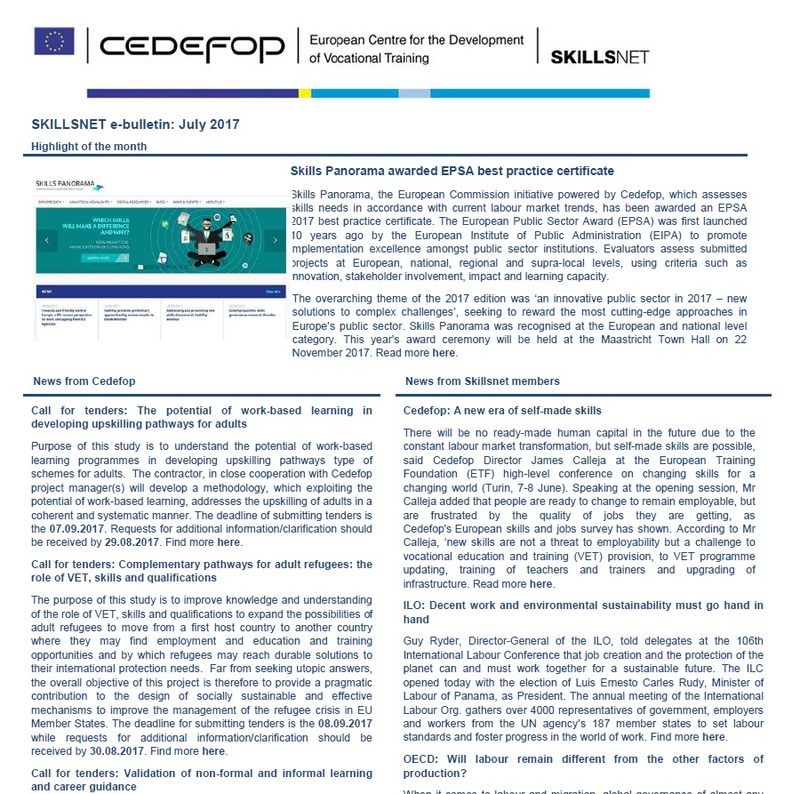 The highlight of the July 2017 issue of the Skillsnet e-bulletin refers to the award of the EPSA best practice certificate to the Skills Panorama. The European Public Sector Award (EPSA) was first launched 10 years ago by the European Institute of Public Administration (EIPA) to promote implementation excellence amongst public sector institutions. Evaluators assess submitted projects at European, national, regional and supra-local levels, using criteria such as innovation, stakeholder involvement, impact and learning capacity.